Ada pertanyaan untuk Cranford Oak Motel? 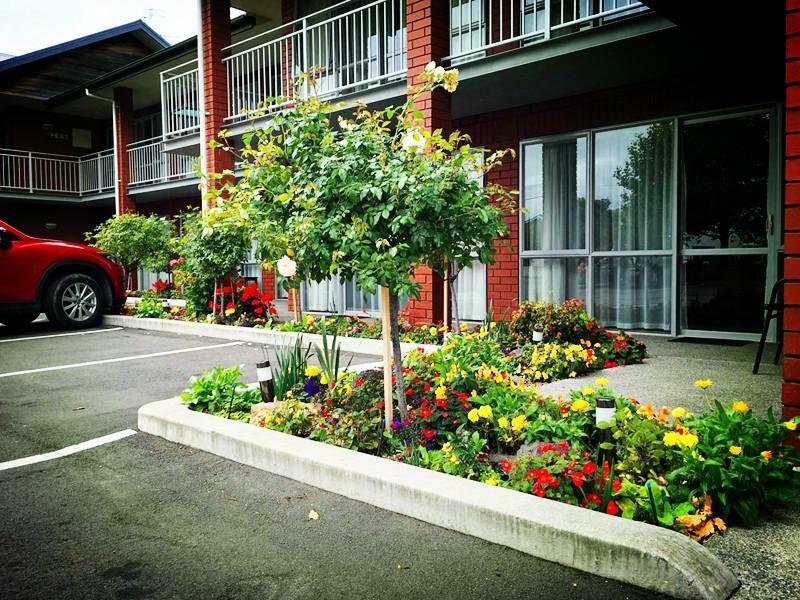 Terletak strategis di Mairehau, Cranford Oak Motel adalah tempat ideal untuk memulai penjelajahan di kota Christchurch. Terletak hanya 3.2 km dari pusat kota, para tamu berada di tempat strategis untuk menikmati obyek wisata dan aktivitas di kota ini. Bagi Anda yang ingin berjalan-jalan, Nurse Maude Memorial Hospital, Merivale Mall, Art Box Gallery adalah sebagian contoh obyek wisata yang dapat dinikmati oleh pengunjung. Di Cranford Oak Motel, pelayanan istimewa dan fasilitasnya yang unggul akan membuat pengalaman menginap Anda tidak terlupakan. Ketika menginap di properti yang luar biasa ini, para tamu dapat menikmati WiFi gratis di semua kamar, fasilitas untuk tamu dengan kebutuhan khusus, check-in/check-out cepat, Wi-fi di tempat umum, tempat parkir mobil. Cranford Oak Motel memiliki 18 kamar yang semuanya dirancang dengan cita rasa tinggi. Banyak di antaranya memberikan kenyamanan seperti televisi layar datar, selimut listrik, linen, handuk, akses internet - WiFi. Bagi Anda yang menyukai aktivitas kebugaran atau hanya ingin bersantai setelah beraktivitas sepanjang hari, Anda akan dihibur dengan fasilitas rekreasi kelas atas seperti lapangan golf (sekitar 3 km), taman. Cranford Oak Motel adalah pilihan yang cerdas bagi para wisatawan yang berada di Christchurch dan menawarkan pengalaman menginap yang menenangkan setiap saat. The room and toilet was very clean. Had to check in at around 3am but arrangements were made in advance so that we were able to directly go to our room after arriving at the motel. Very nice and helpful host. Had a lovely stay! Exceptionally clean and very attentive staff . Because of a serious delay of JETSTAR, we arrived at this motel 6 hours later. It was already 8 pm with rainy weather. The reception was still waiting for us. During the 3 days' living we felt warm and comfortable in the wet and cold winter. The room has a good view and facilities can help us do some simple cooking. It not far from Park n Save, New World and K mart. Driving to city only takes 10-15 minutes. Driving to the airport is not too far as well and quite easy to find. If it is the first time u visit Christchurch, it is really a good choice. Clean, friendly helpful staff, serviced every day - all we needed! It was lovely. The room and its bathroom were very clean and the bed was so comfy that I had great sleep during my three nights of stay. 1. First and foremost the attention paid to us by the owners. Very clean, owners can't do enough to make you comfortable and give you directions. The best thing about Cranford Oaks is the attentiveness of Sandy and Greg, the proprietors. They provide extremely helpful advice for sightseeing, scenic driving routes, nearby restaurants/activites. We loved our stay at Cranford Oaks. Plenty of parking, easy access to the city and airport. Good selection of restaurants and shopping close by. The best part of the experience was the helpfulness of Sandy and Greg, the proprietors. They gave us many helpful tips for sightseeing, scenic routes and activities. Very comfy bed - clean, tidy and quiet. Convenient for weekend stay to see family - close location to them and clean, tidy hotel. Was surprising quiet as located on busy road and many rooms seemed to be booked. Very pleasant although a bit on the pricey side - but I guess thats Chch. Sehr nette und hilfsbereite besitzer. Das motel liegt nicht in der Innenstadt, man kann von dort gut zum Flughafen. Das Motel ist neu und super sauber.